A uniform, upright pyramidal tree. Branches well at a young age. It is a male selection. 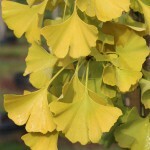 The foliage in summer is a medium green. The fall color is golden-yellow. It is tolerant of high pH, salts, heat and urban conditions. This selection was discovered in front of a Magyar Bank building in New Jersey.